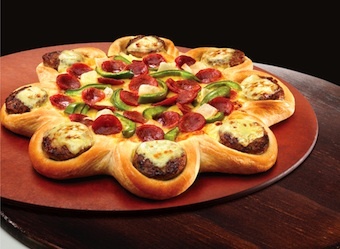 Pizza Hut Australia’s big challenge to McDonald’s has finally been revealed, in the form of a pizza with burger patties in the crust, called the Cheeseburger Crust Pizza. 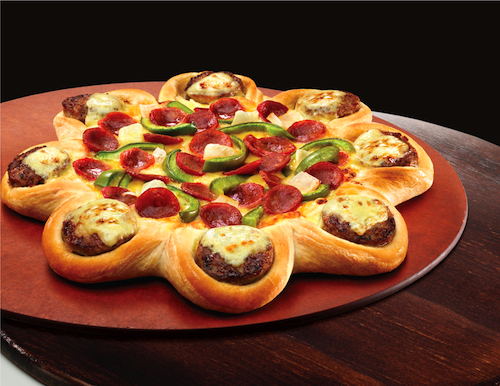 To assist with the launch, Pizza Hut even appointed its first-ever Pizza Hut ‘burger expert’. Charlie Clifton, who beat more than 280 other applicants including police officers, senior managers, competitor fast-food employees, and professional and amateur chefs, who all submitted some seriously creative applications. In celebration of the launch, Pizza Hut is giving away a months’ worth of free pizza to seven lucky competition winners. For details visit Pizza Hut Australia’s Instagram and Facebook pages. Assistant editor’s note: This pizza looks bonkers.